When your baby can’t even lift his or her head, it goes without saying that you’ll need to carry that sweet baby wherever he or she goes. If you would like a little assistance in carrying that baby, a baby carrier can give you just that. You will be able to use your arms much more freely and, while you still need to be cognizant that you have a baby strapped to you, you can mostly go about your business as if you were free. In fact, if you use that carrier for extended periods of time, it’s called Baby Wearing and with the development of such comfortable and ergonomic carriers, you see more and more baby wearing each day. We reviewed dozens of baby carriers to identify the best of the best. We looked at slings and wraps as well as carriers that provide a bit more structure and support to find what carrier is most likely to fit your needs and help your baby relax against you. If you’re looking for a functional baby carrier that is the epitome of comfort and luxury, look no further than the Baby Tula. 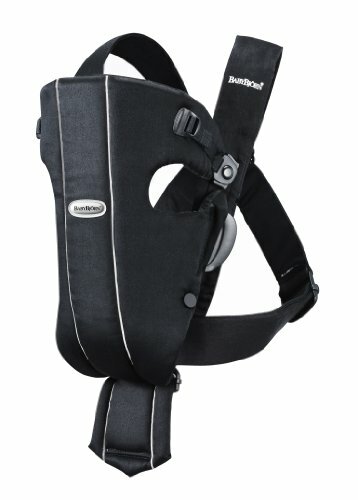 During our search we identified the Baby Tula Multi-Position, Ergonomic Baby Carrier as a clear standout. With a soft but supportive back, your baby will be comfortable but held upright, and the ergonomic design will allow you to wear your little one for hours without killing your back or shoulders. 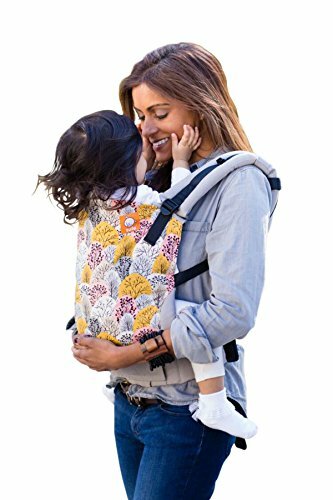 The Baby Tula Multi-Position, Ergonomic Baby Carrier is a Soft Structured Carrier (SSC) that will give you and baby the support you need for extended use. The Ergonomic “M-position” seat will allow your baby to sit with his knees bent in and up; which is the more natural configuration and therefore supports a safe development for your baby’s body. You can change his positions in this carrier as he grows, allowing him to stay in an ergonomically correct position that won’t break your back, either. This carrier is 100% cotton and has a cool and lightweight fabric, to keep you and your baby from getting overheated. Because wearing that baby is all well and good, but if you’re essentially attaching a little (adorable) heater to your chest, it isn’t likely to be an extended use carrier; no matter how well it fits. It will fit your baby from 15 to 45 pounds and, if you purchase an infant insert, then you can use it from 7 pounds up. It’s so obvious that this is the best on the market, we’ll let the numbers speak for themselves. Over 700 people on Amazon have left customer reviews which has earned it an impressive rating of 4.7 stars. These carriers even have fun prints and, when combined with their durability, they hold up their resale value, too. So you may even be able to make your money back even after you’ve used it through your child’s aging out. Comes in 47 different prints! Meet the original BabyBjörn baby carrier and say goodbye to the sore arms you get when carrying your baby everywhere. The BabyBjörn Baby Carrier Original is the longest and possibly the most popular soft structured carrier on the market; or at least it was the first to gain popularity (it was designed in the 1970s and the design still holds up to safety and comfort standards today.) So you’ve probably seen these often. With the strongly padded neck support, you can tuck your newborn baby’s tush into the narrow seat and snuggle her facing your chest, confident her head won’t go flopping around. And once she gets a bit older, (roughly 5 months) you can flip her to face out while folding down the neck support and giving her a better visual of the world you’re taking her through. The recommended age is from newborn to 1 year old, but you may find some flexibility on the high end of her age if you can convince your little one to be restrained in your arms. This carrier is a cinch to put on; you won’t need assistance with it at all. You’ll put the two pieces of the carrier together, place baby in the open space and pick it up along with your baby, adjusting and securing after you do so. The criss-cross design of the straps is intended to distribute the baby’s weight more evenly and allow you to carry for longer periods of time. With nearly 40 years to fine tune their product, it’s no surprise that the BabyBjörn is a well-loved baby carrier. It’s probably also not a surprise that there are over 1,500 customer reviews on Amazon for it and that the rating is a solid 4.5 stars. For a blend of all other carriers at a phenomenal price, check out the Infantino Flip 4-in-1 Convertible Carrier. The Infantino Flip 4-in-1 Convertible Carrier allows you to carry your baby from birth (as long as he’s over 8 lbs) to 32 pounds, so roughly 3 years old with its four separate positions. The strong padding will support your child’s neck as a small infant facing in when she doesn’t have the neck control and again when she’s older and on your back facing in and you can trust her enough to not have your eyes constantly on her. It’s almost a combination of both the Baby Tula and the BabyBjörn; You can secure the seat into a narrow position that will allow your newborn’s tiny legs to stretch out or froggy position up, like the Björn. And you can flip the supportive pad back out and use the seat as a wider seat to give your older baby that ergonomic M-position of the ErgoBaby. This carrier doesn’t come in the fancy prints and it won’t carry your children into their school aged weights, but it’s just a fraction of the cost. And even with the fewer frills and the lower price tag (roughly $30! ), it still has over 1,700 customer reviews and a rating of 4.4 stars on Amazon. Definitely worth a good look if you’re in the market for a baby carrier. Become a wrap-tying-champion with this baby carrier that will have your baby snug and comfy and give your arms a big break. The Boba Wrap is so much more than meets the eye on first glance. If you don’t know what you’re getting into when you get this wrap you may be surprised to find out it’s really just a long, wide piece of fabric. Don’t get us wrong, though, it’s a great fabric: 95% cotton, 5% spandex for a soft and stretchy material that will breath and keep your baby from overheating. But it isn’t the fabric that’s the seller; it’s what you can do with that fabric. You can tie your baby to you with this wrap with so many configurations you can use this for years and years! You can wrap your newborn in close with this wrap that will allow you to nurse at any time, with very little adjusting and will hold your child from birth (even premies!) to up to 35 pounds. And to be carrying your child hands-free for any of those ages is always a small miracle you’ll appreciate. With nearly 3,000 customer reviews on Amazon, this carrier has earned a respectable 4.2 stars. And, depending on the style fabric you choose for your wrap, you can spend as little as $40 – a total steal! For baby carrying at its simplest, check out the Hip Baby Wrap Ring Sling Baby Carrier for Infants and Toddlers and enjoy a bit of arm freedom! The Hip Baby Wrap Ring Sling Baby Carrier for Infants and Toddlers is 100% cotton so you’ll be able to pop it in the washer if your little one gets anything on it. (Or if you miss your mouth while you’re happily eating with both your hands that are free because your little one is in a sling.) It’s a breathable fabric that will keep you both cool and if you plan on wearing your baby for extended periods of time, that’s a big perk! With the included rings, you can adjust this sling to fit your body perfectly and taking it on and off won’t mess up the adjustments so once you adjust it, you may never need to do it again. That is, of course, until your baby grows; this sling can be worn and you can carry your child up to 22 pounds so you will adjust as your baby ages. This wrap has over 400 customer reviews and an overall rating of 4.4 stars on Amazon, making it a safe buy for you if you decide to get a sling. These slings are also a free-trade product that are hand woven with eco-friendly dyes produced in India, so you can purchase guilt-free. Baby wearing proves incredibly valuable for the parent of a special needs or colicky baby, too. For the parents of a baby that simple need held to sleep or to relieve physical pain (even something as simple as a bit of gas or indigestion) the assistance that a carrier provides can both help baby and make it easier on the parent, too. For these instances, where you’re wearing the baby frequently, picking out a carrier that will give you proper support on your neck and shoulders is crucial. Breathable fabric. For a baby carrier, you need to make sure the fabric is breathable in both a literal and figurative sense. If you’re going to have a tiny person pressed up against you for an extended period of time, that little one can turn into a heater strapped to you. So a breathable fabric will let baby’s body heat escape out instead of just holding it to you. You’ll also want to make sure that (since you can’t actually breath through most fabrics), you’re always aware of where your baby’s face is while you’re wearing him. One little turn of his head could put him against fabric and his breathing may become strained. They do make carriers that use a mesh fabric to help ease your concern, but you will always need to watch out for his breathing, regardless of the fabric. Sizing. You may not realize it, but you will need to choose a size for some baby carriers. Slings, in particular, will often come in sizes that you’ll need to check out the details on before purchase. The alternative is to get a ring sling, which will allow you to size it yourself. Adjusting the carrier to your body is how most carriers operate so make sure you’re getting each strap and band just the right size for you. The better fit you have, the more support your baby will have and the safer it is for your little one. Infant inserts. Some carriers simply can’t be used for your newborn. Others come with adjustments to make your carrier safe for your infant and more still are specifically designed with your newborn in mind. If you choose a soft structured carrier, there’s a strong likelihood that you’ll need to purchase a separate insert to make your carrier safe for your newborn baby. They will allow your baby to be in a more natural froggy style position and give your baby a bit more padding to contribute to his support in the carrier. Those adjustments will prevent an increased risk of hip dysplasia and lend to a healthy body development through each stage of development. Support padding. While a carrier with supportive padding will primarily refer to soft structured carriers (SSC), there are also slings that will provide you and your little one padding, too. SSCs will have padding on the straps and waist bands for your comfort but also padding on the carrier itself to keep your baby upright and in a healthy position. Some will even have padding along the leg holes to make sure the fabric doesn’t cut into your little one’s legs. Slings will sometimes have padding on the shoulder of the sling or around the outer edge to give baby a bit more stability and also prevent it cutting into her. Safety. Of course you want to consider safety for your little one’s carrier. For a good “How To” instruction on wearing your baby remember the T.I.C.K.S. rule for baby wearing, and find a carrier that will allow you to do this properly. Transitional. Babies grow. As much as we sometimes hate to see it, babies get bigger every day. If you buy a carrier that won’t grow with your baby, you’re just throwing your money away. You can get carriers that can transition with your baby through multiple developmental growths. Some carriers will hold your baby up to 40 pounds! That’s school-aged! While your 5 year old probably won’t want carried anymore, you will probably use it plenty for your 2 and 3 year old, if you choose, so finding one that will go to 25-30 lbs will probably be a nice plan. Can I use a baby carrier for a newborn? Depending on the type of carrier you purchase you may be able to wear the baby in the carrier right away. Wraps and slings are especially convenient for newborn use. Sling, in particular, because they are essentially just helping you carry the baby as you would without the sling. You’ll (as always) need to be careful while you hold and carry the baby to make sure you’re offering her the correct support, but there are plenty of carriers that you’ll only need to provide minimal extra support. Wraps will also be a great option for your newborn, but keep in mind some configurations of the wraps are meant for larger, more stable babies. Do your homework and make sure you’re using the right configuration for your newborn. If you opt for a soft structured carrier (SSC), then you may need to purchase an insert to carry your newborn. Most SSCs (without the inserts) are meant for infants, but not newborns. Look into those restrictions and recommendations before you pop your little squishy baby into a big-girl carrier. What’s the difference between a baby wrap and a structured baby carrier? A baby wrap is all about options. It’s a very long straight piece of fabric that you can tie and twist and manipulate to all kinds of configurations to hold your baby in an impressive number of ways. There are a standard four ways to wear a baby: front carry, side carry, back carry, and hip carry (this one’s a lot like a sling.) If you want more information on how to do each, check out ABCKids for detailed instructions and a how to video on each. Even within each of those four ways, you can spread the material more or less to accommodate sleeping or differences in sizes or different comforts. There really are so many options with your wrap. A fully structured baby carrier is a hiking type of carrier that may remind you of strapping a lawn chair to your back. They have metal frames and are, as the name suggests, fully structured. You probably won’t want to wear those for extended periods of time, but they can come in handy on an adventure hike. The more common baby carrier is the soft structured carrier and those don’t have any metal or plastic, just firm foam padding that will support your baby and not break your back. They vary in difficulty of putting them on (still probably all easier than a wrap, though, if we’re honest), but they will almost all have harnesses, snaps or clasps that will secure your baby and offer substantial support for your baby’s body. They will also be a great comfort for you to wear for extended periods of time; often making design accommodations to relieve pressure from your neck and back. What’s the difference between a baby wrap and a sling? Baby slings are basically circle tubes of material to go across your shoulder and help you secure your baby to you. You can buy one ring of material that is sized to you (small medium or large) or you can buy one that you can adjust to your size through a pair of rings. They can really only offer you support for carrying your baby 2 different ways, though. You can either cradle her in your arms with the sling to offer additional support and assistance or you can sit your much older baby up on your hip and use the sling to hold him to you. In this way it’s for babies who are little enough to lie down and be cradled (so roughly 3 months or less) and for babies who can sit up without any wobbling (approximately 6 months or more). Are baby carriers safe for baby hips? Yes; with a few notes you should keep in mind. The risk of hip dysplasia is the biggest concern for baby wearing and there are a few big factors that go into it. First, you’ll want to make sure you’re not stretching your baby’s hips unnaturally (even just through gravity) while you’re wearing him. (Or swaddling!) Baby’s hips, particularly the ligaments surrounding the hips, are still developing when they’re born and there are several contributing factors. One of those is the carrier you use, but it’s not the only and not even the most significant. So while you want to make sure you’re promoting a M-position for your baby (think froggy legs), you want to take into consideration those other factors, too. If you have a family history of hip dysplasia or your baby was breech, it’s much more likely for him to struggle with the hip dysplasia in his future. The first 6 months of the baby’s life is the most critical for hip development and after which they’re less susceptible to developing hip dysplasia. Know your risks and know your safe practices by checking out the International Hip Dysplasia Institute. We looked at 20 other baby carriers. Even though they didn’t make our 5 best carriers for babies list, they’re the best of the rest and each is still a great option for your little one. The information you’ll need to compare each one is included with the listing. We’ve grouped them into the following categories for your convenience. Consider this sling a seat for your child that will assist you in carrying your kids on your hip. 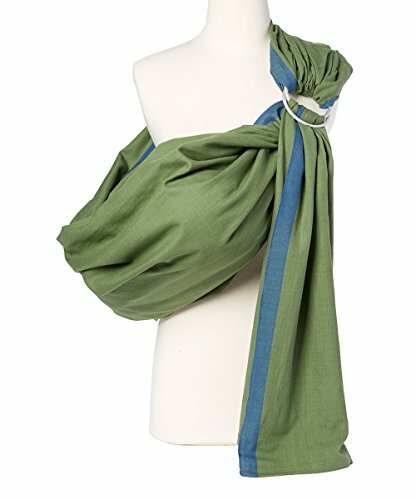 Your baby will be comfortably secure in this breathable linen sling. The shoulder of this sling is lightly padded so it’s not too bulky but still gives you a little extra support while wearing your baby. 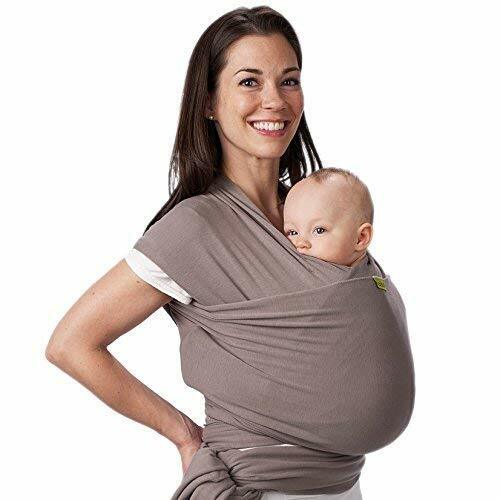 This carrier allows you to wear your baby in an eco-friendly and soft linen/bamboo blend sling. The RosyBaby Lite-on-Shoulder sling provides light padding on your shoulder and as a railing to help support and protect your baby. The biggest selling point for this sling is the breathable and quick-drying mesh-type fabric that will keep you comfortably cool all year long. 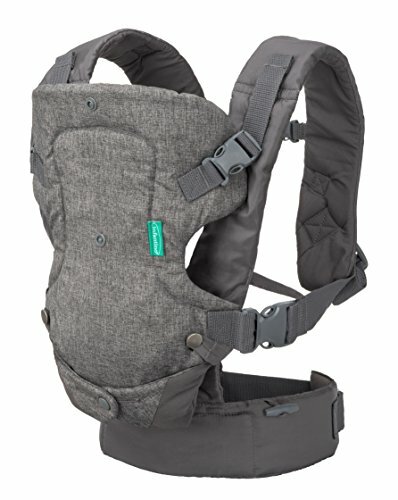 You can wear this carrier as a hip seat, a traditional SSC or a cross-back single strap carrier that will be easier to take on and off (if your baby is of a more stable age). You can wear this carrier as a front carrier for your littlest baby and pop it around on your back for your larger kids up to 45 pounds. Your baby can be worn in virtually any facing position with this carrier and by purchasing the infant insert separately, you can wear her from 7 pounds to 33. It’s a safe baby carrier that costs under $20. Is there really anything else you need to know? This breathable SSC comes in so many fabrics, you’re sure to find one you love and if you have an older child who wants to carry her baby doll like mommy, they also sell matching doll carriers. You can wear your baby snuggled into your chest or on your back or even on your hip with this versatile SSC. Wear this carrier as many ways as you could want with the extra bonus of a hip seat that will let your child sit more comfortably while you carry him. You can carry your baby well past the “baby” stage with this wrap that assists you with carrying up to 35 pounds. This wrap can offer you the utmost discretion while nursing and all you need do is pull the fabric just a tiny bit. This wrap will help you carry your child from birth (even premie!) to 35 lbs. This wrap will stretch a bit and add to your comfort but is still easily machine washable, making it super convenient, too. This wrap carrier will hold your baby from her birth to 35 pounds so you’re sure to get your money’s worth from this! With 5% spandex, this wrap has the elasticity to conform to your and your baby’s bodies, providing optimal comfort. Jenny is a frequent contributing author for Baby Know How. She’s originally from Central Ohio but has lived all over the world with her family, including Texas, Florida and Germany, among other places. She’s taken her three children (and fur babies, too) with her along the way and currently calls Eastern PA home. She has three children who have taught her so much more than just facts and numbers and has researched all things family and home out of necessity and fun. She’s used that expertise to write all things family since 2011.